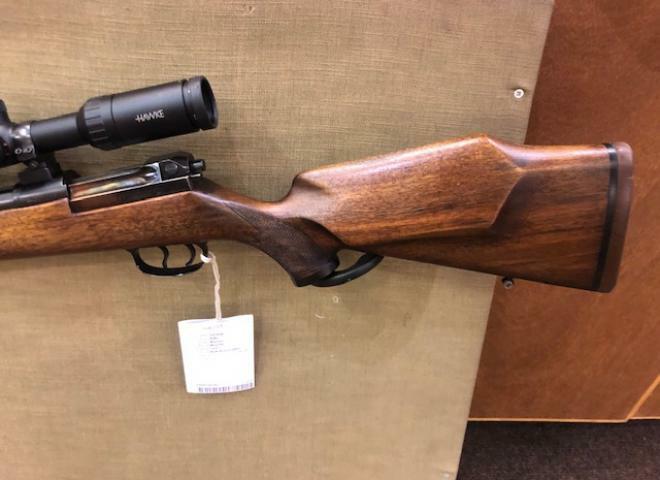 This is a brand new CZ 455 American .22 rimfireavailable here at Coombe Farm Sporting. A very accurate and reliable rifle that would be very well suited to either pest control or target shooting. Comes with a 5 shot magazine. 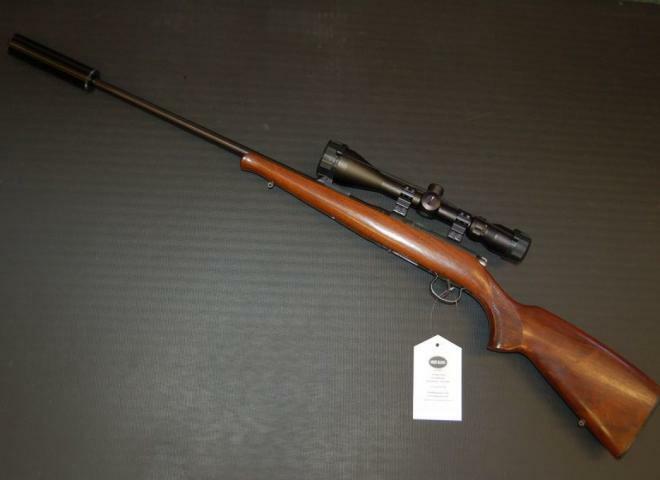 Excellent Condition, With 2 x 5 Round Magazines, Hawke 3-9x40 Sport HD Scope and Sako Sound Moderator. Near Mint Condition, With Leupold 1" Mounts for 56mm Objective, Threaded 18x1. .22LR Remington 597 VTR with NicStar 3-x42 Mill Dot IR scope, screwcut with SAK sound moderator, bipod & collapsable synthetic stock. Supplied with four 10 shot magazines and two 30 shot magazines. In very good condition. 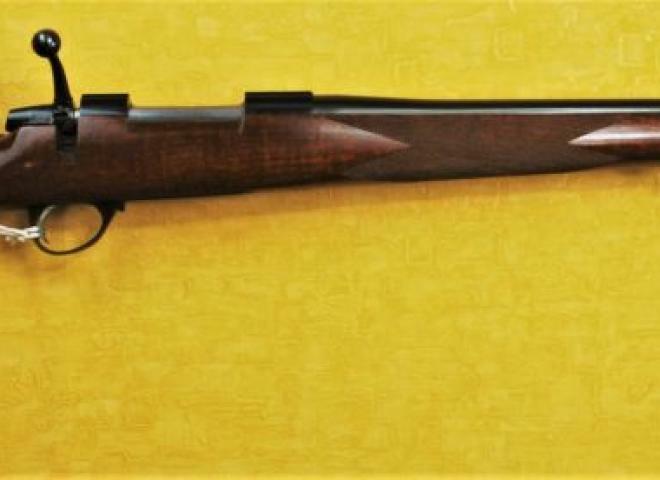 An unusual little straight pull rifle dating from the late 1980sand is the forerunner to the Browning T-Bolt. .338 Winchester Magnum Bolt Action Whitworth Express Rifle from Interarms. Model 700 Remington Bolt Action Rifle in the madly popular .17 Remington Fireball calibre and very little evidence of much use.